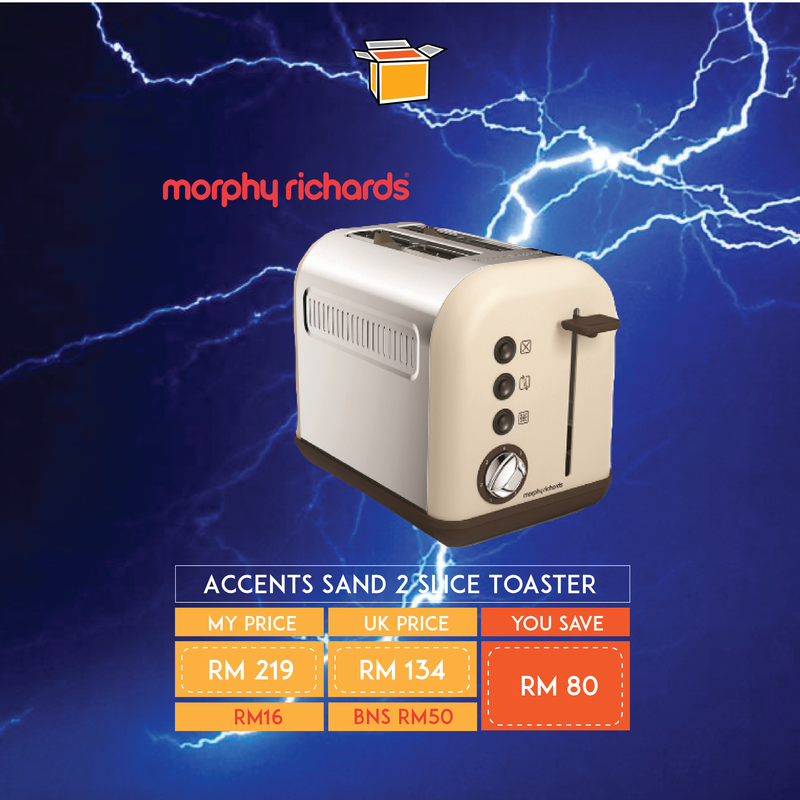 Morphy Richard’s electrical goods are a stunning addition to any kitchen. Why not get yourselves one with a selection of items that are currently on their special offers bin, like this cute 2-slice toaster? Don’t forget to sign up with us to get this sent to our UK warehouse address and we’ll make sure it goes straight from our warehouse to your door for only S$5/lb!